Microsoft Dynamics 365 Business Central takes the power of Microsoft Dynamics NAV to the cloud. Business Central brings a set of trusted, proven technologies that is serving millions of users worldwide. Enjoy a comprehensive solution by natively integrating with your Office 365 services. D365 brings work-anywhere features, enhanced security, and the benefits of an OpEx model. 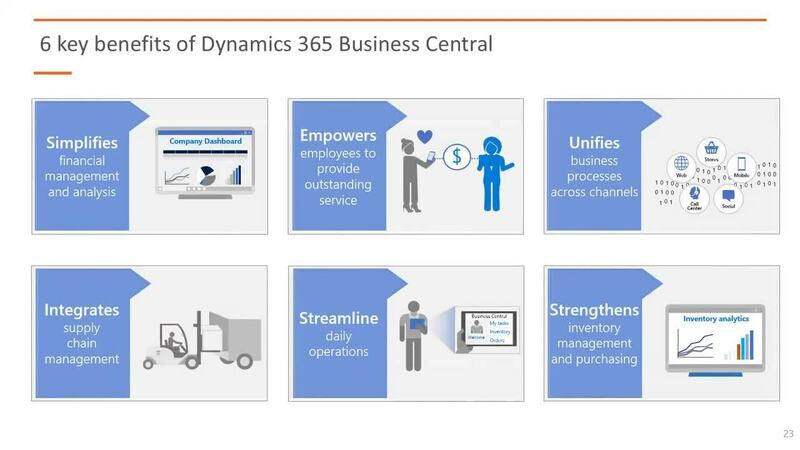 A walk through of the core functionality in Dynamics 365 Business Central. How Dynamics 365 Business Central and the Common Data Model provide an application platform to integrate your data. For other insights from lead speaker Rob Jones, catch his blog - The Good News for Finance Directors: A Fresh IT Proposition.